Social Tables, Brides.com, Every Last Detail, and More! We have some awesome client features for you this week, including Social Tables, Brides.com, Every Last Detail, and so much more! See it all below. 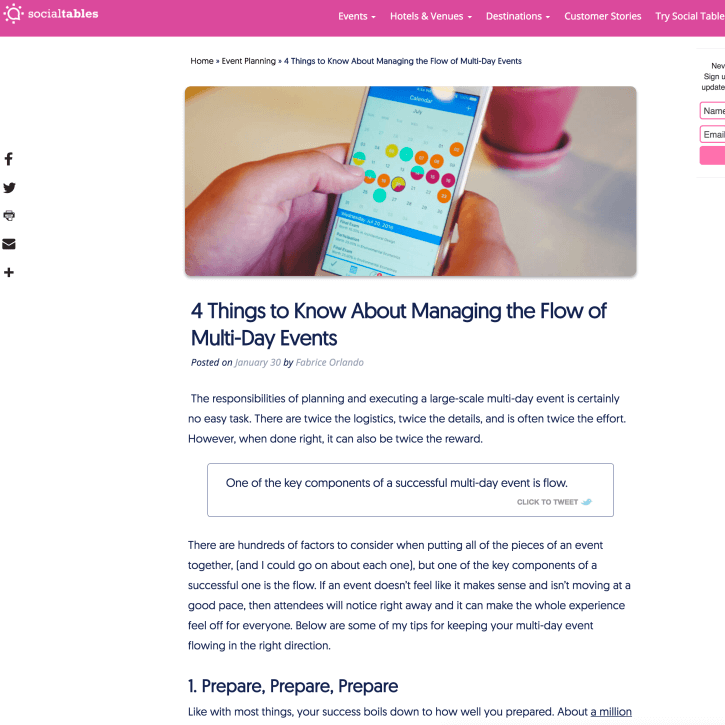 Cocoon Events Management Group was featured on Social Tables with their article, 4 Things to Know About Managing the Flow of Multi-Day Events. See the full article here. Taylor’d Events, Belladeux, Passport to Joy, LadyMarry, and Sunshower Photography were featured on Brides.com with their feature, 9 Ways to Get Your Groom AMPED About Wedding Planning. See the full feature here. Wente Vineyards were featured on Every Last Detail with their feature, Dusty Blue & Ivory California Vineyard Wedding. See the full feature here. Nahid’s Global Events was featured on Catch My Party with their feature, Colorful Indian California Wedding. See the full feature here. 100 Candles were featured on AllSeated with their article, How To Map Out Your Event Lighting Plan. See the full article here. Wedding Academy Live, Belladeux Event Design, LadyMarry, Mike B Photography, Destination Weddings, and 100 Candles were featured on About.com with their feature, How to Save on Top Wedding Trends. See the full feature here. Belladeux Event Design was feature on WeddingIQ with their article, Managing the Crossroads Between Planning and Design. See the full article here. Taylor’d Events Group was featured on WeddingIQ with their article, Jumpstarting Your Wedding Season. See the full article here.